A breast cancer diagnosis can be one of the most terrifying moments of a person’s life, and the path to recovery one of the most physically and emotionally taxing. Moreover, cancer does not discriminate amongst its victims, afflicting even celebrities whose larger than life personas make them seem invincible. These patients too have fought through grueling chemotherapy to put their cancer in remission. What follows are five inspiring stories of celebrity breast cancer survival. 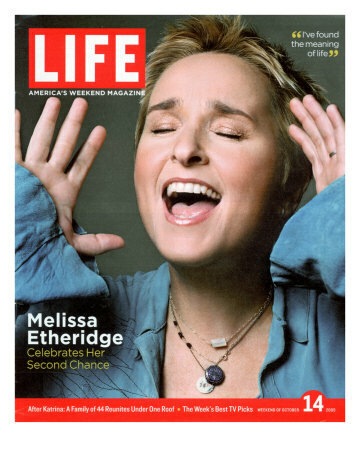 In 2004, at the age of 43, singer Melissa Etheridge was diagnosed with breast cancer. She underwent intensive chemotherapy treatments, in the midst of which she heard that she had been nominated for Grammy. At the time, Etheridge did not think she would be well enough to attend the ceremony, much less perform. However, as her most invasive round of chemotherapy treatments came to an end, Etheridge was asked to perform a tribute to Janis Joplin, one of her musical inspirations, at the Grammys. She decided to go through with the performance—even though chemo had left her bald—and served as an inspiration herself to many women battling cancer around the world. Sheryl Crow, another American alternative rock singer, was diagnosed with breast cancer in 2006, just after she’d ended her relationship with Lance Armstrong. The added emotional stress of their broken engagement made this a difficult period for Crow, but she confesses that she had a strong support network of friends and family (including Armstrong) to help her through her treatments. Luckily, Crow was diagnosed at an early stage of the cancer, and pulled through in less than a year. Her life, however, was drastically changed as a result of the experience; she herself admits that the struggle she went through will change her music forever. International pop sensation Kylie Minogue discovered she had breast cancer in May 2005, when she was only 37 years old, and presents another of these inspiring stories of celebrity breast cancer survival. Forced to put a major tour—and her career—on hold, Minogue enduring months of chemotherapy and surgery to remove her cancerous tumor. Minogue recovered, but was advised to continue receiving ongoing cancer treatment, which included regular medications, for five full years after her surgery. In the midst of this, Minogue not only put on a brave face, but continued to make music and tour. She is planning to publish a book about her experiences in the coming year. Christina Applegate, recognized for her comedic roles in shows like “Married with Children” and “Samantha Who”, faced a more serious life experience when she was diagnosed with breast cancer in early 2008. She underwent six weeks of intensive radiation treatment, taking a break from her work in Hollywood to recover. Though the cancer was located in only one breast, Applegate elected to have a double mastectomy to ensure that the cancer would not spread or return. She is currently very vocal about her experience, and now speaks out in support of women fighting cancer around the world. Edie Falco, best known for her roles on “The Sopranos” and “Nurse Jackie,” exemplifies another one of the most inspiring stories of celebrity breast cancer survival. Though she was diagnosed in 2003 while working on the Sopranos, she kept her condition quiet, to maintain some privacy from the media. To the amazement of cast and crew, Falco continued to work throughout her treatments so as not to disrupt production. Today, she speaks out about her experience to support other breast cancer survivors, and to encourage women to get frequent mammograms for early detection. Hopefully, these inspiring stories of celebrity breast cancer survival will provide some courage and hope for other women who suffer from breast cancer. The disease takes a heavy emotional and physical toll on every individual, but these women prove that it is possible to come through even stronger than before. Thank you so much for this article! I have a family member with stage 4 breast cancer and we need all the hope and inspiration we can get. Pink Power! These women demonstrate the spirit and constitution of true heroes. Facing these trials publicly with grace and poise provides true inspiration. Thank you for telling their stories.